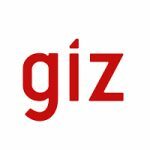 As an international cooperation enterprise for sustainable development with worldwide operations, the federally owned Deutsche Gesellschaft fOr Internationale Zusammenarbeit (GIZ) GmbH supports the German Government in achieving its development-policy objectives. Please use the subject line "Procurement Professional". Applications in hard copy will not be accepted. Closing date for submission: 5.12.2017.